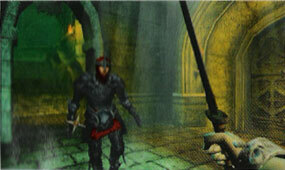 The Elder Scrolls Adventures: Eye of Argonia was a planned sequel to Redguard. Like its predecessor, it was an action-adventure game with few of the role-playing elements of other Elder Scrolls titles. In response to Redguard's poor sales, it was planned to be released on the PlayStation 2 and other consoles, rather than PC. The game seemingly never made it past conception, with work resuming on The Elder Scrolls III: Morrowind instead. The Elder Scrolls Adventures: Paradise Sugar was supposedly the third planned installment of the TESA spin-off series, following the story of Redguard and the cancelled Eye of Argonia. Due to Redguard's poor sales and ZeniMax Media's purchase of Bethesda, the two sequels were never developed. This page was last modified on 8 January 2018, at 01:19.